John Statton’s Author Page – Check out Tyranny of Secrets below, the new thriller from John! 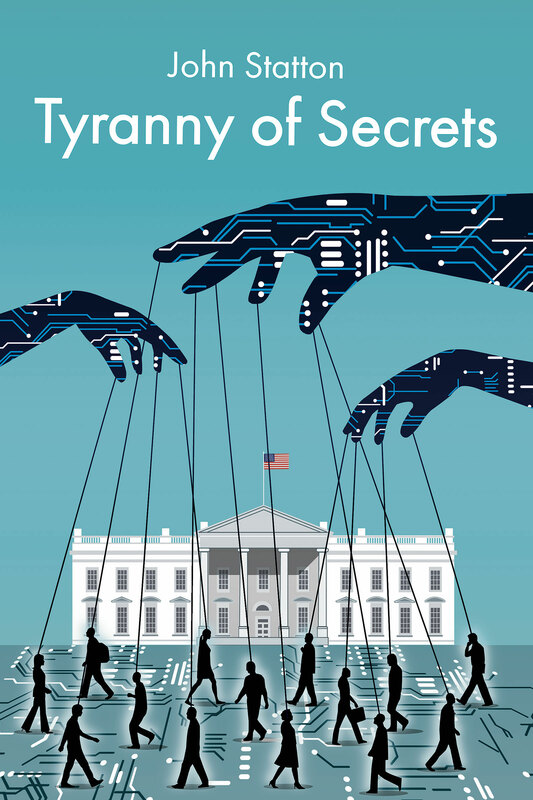 Check out Tyranny of Secrets below, the new thriller from John! personal privacy protection in our increasingly networked, data harvesting, digital world. was later elected to Cupertino’s City Council (Apple's hometown) and served as Mayor. and hopes you enjoyed spending time with the story. National elections stolen by elite hackers. A conspiracy to put a puppet President in the White House. Gifted computer scientist Mariana McAllister is recruited into the shadowy side of a computer security company. Manipulated by the CEO, she leads a team to hack the British national election, at the personal cost of a shattered relationship. Years later she discovers the code she created being used to hijack the US Presidential contest and start a mass-surveillance state. With her former lover, attorney Sander Bonham, in the cross-hairs of an assassin intent on keeping him from exposing the conspiracy, Mariana struggles to find the truth. Unless she can fight back, a small elite will control society by controlling our data...and our secrets.